3 f itness is a website of a Portuguese Personal trainner that give tompeople all the information needed to start a physic evolution path in a healthy way. Some years ago i start a partnership with 3fitness to help them to use the digital channels to get to more people. This week as the first step of the evolution to the digital world of 3fitness we had launch the new website all implemented by me using a responsove aproach and wordpress as the cms plataforma. 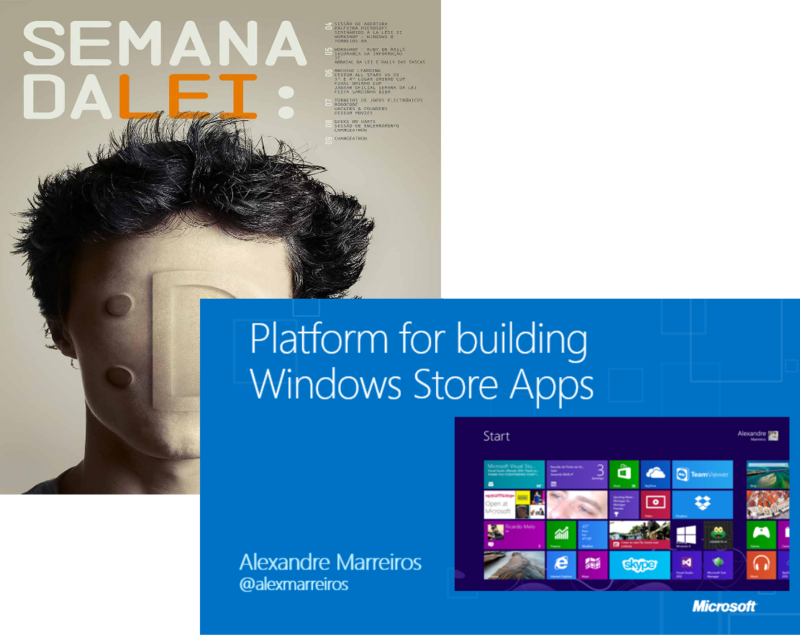 Last Monday i was invited by Microsoft to be at Universidade do Minho (one of the most important Computer Academies in Portugal) in 4/03/2013 to speak about Windows 8 and teach how to develop a Windows Store APP in a Workshop of Windows 8. Was an excellent experience and i have to admit that this institute has a lot of talent and all that is needed to be one of the most important technological schools of Europe. Last year i had collaborate with a very interesting digital school named EDIT. From time to time EDIT lead an event named Open Day. The principal mission of this event is to show to the community professional and students what is being done on the digital society, the message is deliver by some professionals EDIT elects from Digital society. This year was a pleasure to make part of this project with a workshop about responsive design and a presentation on the main event about Winodws ui UX and ideas. EDIT. Open Day 2013 // Highlights from EDIT. on Vimeo.